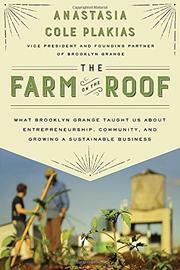 The co-founder of “the world’s first commercial rooftop farm” chronicles how she and a small group of socially conscious and creatively resourceful individuals built their successful business. An engaging, well-documented business book that should become a valuable resource for urban farmers everywhere. In a category glutted with titles on digital startup operations, the thoughtfully detailed planning and advice laid out here will be inspiring to a wide range of small brick-and-mortar business entrepreneurs.